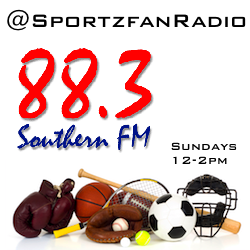 13 February 2011 189.1 – The Panel start off without Sportzfan Stan again, who is still on injured reserve. The Gelding thinks it will be a long season for Richmond while Daniel thought we might have been talking about Collingwood for two hours. Daniel also complains about how bad the half time entertainment with the Black Eyed Peas at the Super Bowl. Dan Butterly comes on to talk US sport and in particular the Super Bowl between the Green Bay Packers & Pittsburgh Steelers. He is reminded of his pick of the Steelers last week. He says it was a great game from start to finish and believes Aaron Rodgers gave a flawless performance with the Packers win was all the better due to the injuries the Packers dealt with not only during the season but also during the Super Bowl itself. Dan also discusses the seat fiasco where it appears the Cowboys only applied for a permit for the seats three weeks before the game. He looks at NCAAB and was right in saying Ohio State wouldn’t go through the season undefeated having lost to Wisconsin today. Dan says he thinks Daniel may be the only international Clippers fan in existence. The Panel talk about who their dream guest would be – the Professor says Aaron Rodgers, the Gelding would like Damian Oliver and Daniel wants Michael Jordan – we’ll work on them. The Gelding and the Sydney Colt were on fire with their selections at Caulfield and Randwick selecting 5 winners from 6 selections. The Panel look at the NAB Cup and the Gelding reiterates he believes it is going to be a long year for the Richmond Football Club.